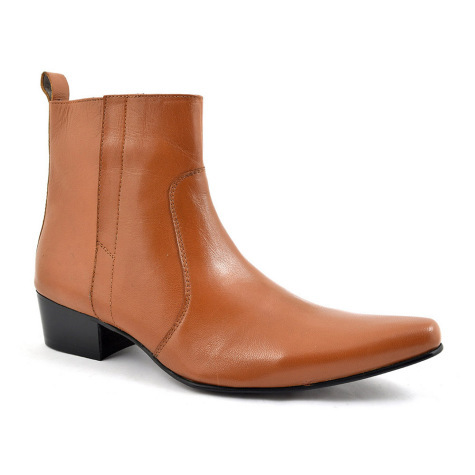 Walk tall in these tan cuban heel boots. 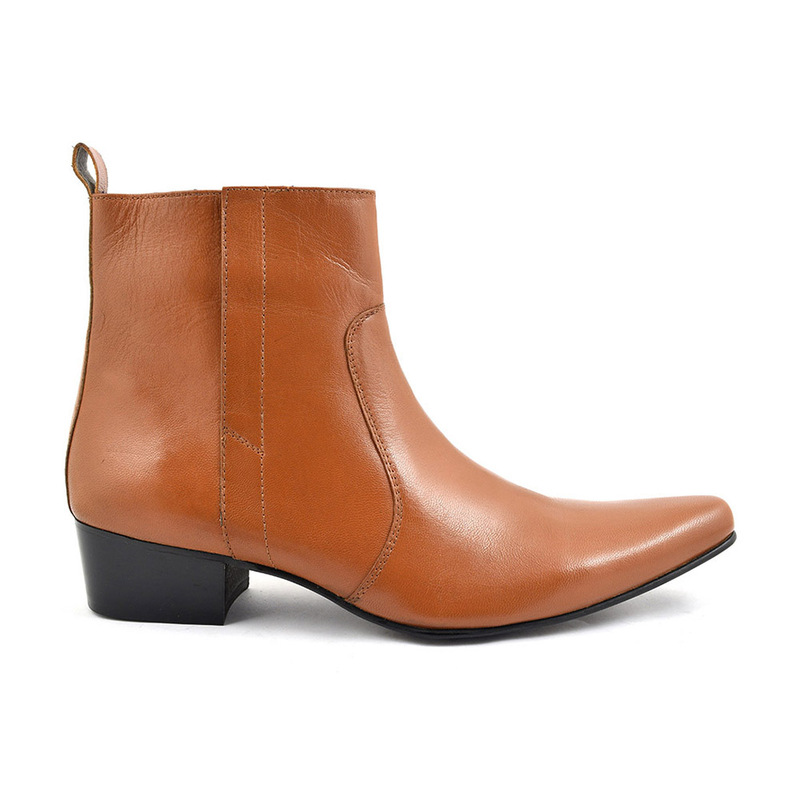 The heel on this zip up boot is 45 mm high and it has a pull up tab. It has a pointed toe and off-white stitching to the vamp and side. 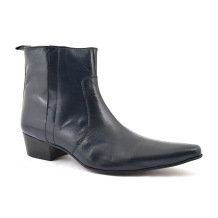 Shoes to stand out in by Gucinari but originally created by The Beatles (see below). 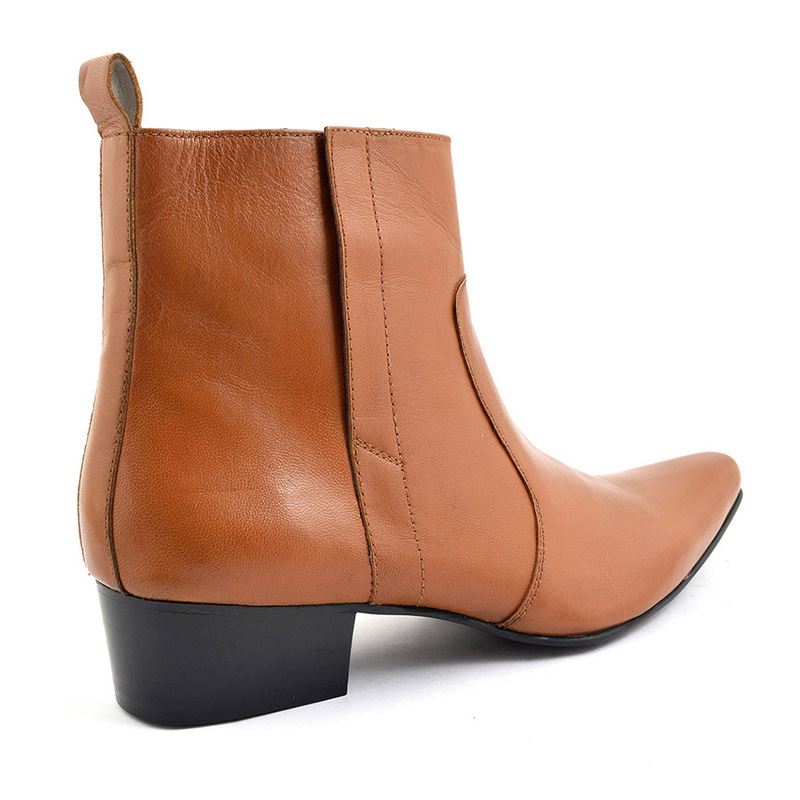 So you want a cool mens cuban heel boot in tan? Well, here it is. We love this style and that puts us (all) in the same style camp as many creative inspirational men from The Rolling Stones to Iggy Pop, from The Horrors to The Kills, from Russell Brand to Noel Fielding. 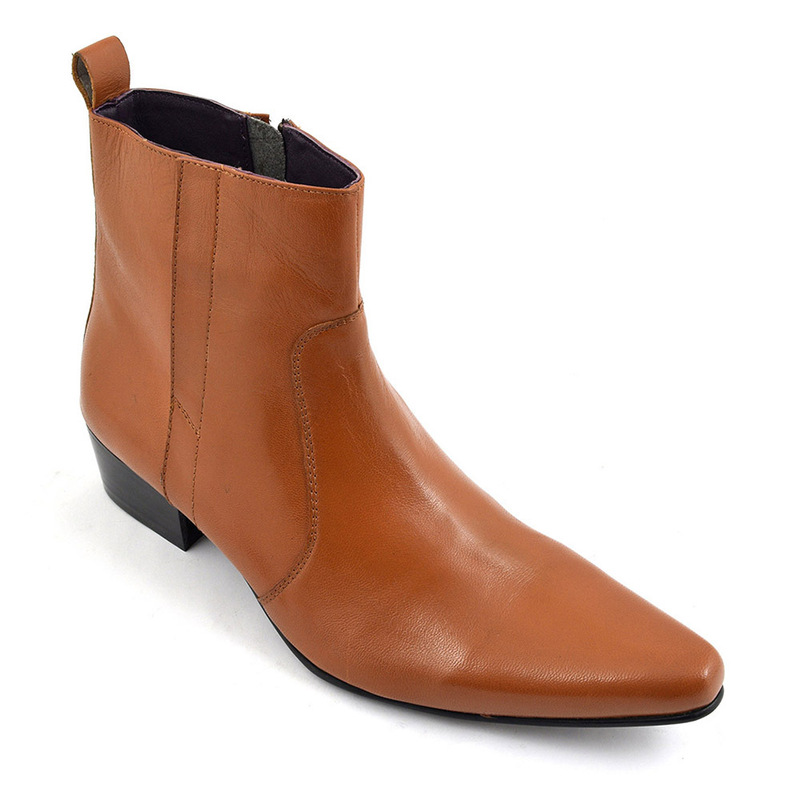 Known as the winkle picker, this tan boot has a pointed toe which gives rise to other names like beetle crusher. It was another type of beatle that gave this style of funky mens boot the name though. The sharp suited, mop haired and cuban heel wearing variety that came in the form of The Beatles. The band loved chelsea boots which were fashionable fayre for the Kings Road cool kids in the 60s and they built on this by adding a cuban i.e. high heel to the boot. Did you know that we can date men wearing heels back to the 9th century? In fact, they were practical for men riding horse and doing battle as it kept their feet sturdy in their stirrups. Mens high heeled boots were considered masculine then. Over the years, royals like Louis XIV wore them and they fell out of vogue. Although seen in the Victorian era, they made a roaring come back in the 50s and 60s. Distinct groups who were alternative began to wear them like rockabillies, mods, punks and goths. In a similar vein, alternative types still wear them now. Original people like you. 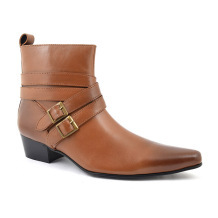 Be the first to review “Alvares Tan Heel Beatle Boot” Click here to cancel reply.